What Facts Should I Know about Minimally Invasive Knee Replacement? What Is the Preparation for Minimally Invasive Knee Replacement? What Are the Risks of Minimally Invasive Knee Replacement Risks? What Are the Results of a Minimally Invasive Knee Replacement? Knee replacement surgery is one of the most successful modern orthopedic procedures. (Orthopedics is the branch of medicine dealing with the bones, muscles, and joints.) Knee replacement surgeries use modern biomaterials. Biomaterials are synthetic or partially synthetic materials that are used to take the place of parts within the body. Use of these modern materials has allowed knee replacements to last well in appropriately selected patients. However, pain and other side effects associated with the surgical procedure remain a concern for many people. In particular, people are concerned about the uncomfortable physical therapy that is often required after knee replacement surgery to regain muscle strength and mobility. 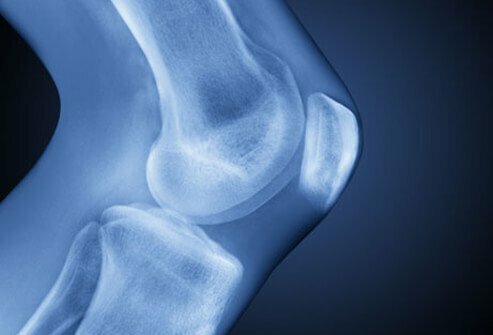 New and improved anesthesia techniques, as well as pain management medications and methods, have reduced pain and improved recovery after knee replacement surgery. Any method of speeding up recovery after surgery is desirable, as many people are anxious to return to their day-to-day activities. What is the recovery time for a minimally invasive knee replacement? Minimally invasive knee replacement surgery is a term that is commonly used to describe several modifications of conventional knee replacement surgeries. These modified procedures are designed to reduce the tissue trauma associated with surgery. The goal is to reduce postoperative discomfort, speed up discharge, and reduce the need for physical therapy. Total knee replacement surgery is different from partial knee replacement surgery. Partial knee replacement surgery is often referred to as unicompartmental knee replacement. In partial knee replacement, only the inner side or outer compartment of the knee joint is replaced, as the name would suggest. Usually, the inner compartment of the knee wears out first. In some people, just this part of the affected joint is replaced. Partial knee replacement is performed with small incisions. The ligaments and other structures in the knee are preserved. In partial knee replacement, recovery is faster and the scar is smaller than for total knee replacement. However, few people meet the strict requirements for partial knee replacement. Only a small percentage or fewer people who have knee arthritis are good candidates for partial knee replacement procedures. For some people with knee arthritis, a unispacer might be appropriate. A unispacer is a device inserted into the diseased knee joint. It acts like a spacer, or shim, to separate the worn-out knee surfaces. As with partial knee replacement procedures, few people actually meet the requirements for a device like the unispacer. For most people with advanced knee arthritis, if pain is not relieved with other treatments, a total knee replacement that replaces all of the diseased cartilage is the best long-term option. Being educated about what to expect is important after minimally invasive knee replacement surgery. Patients should have realistic goals for their recovery. Keep in mind that each person recovers differently. In fact, people who undergo knee replacements of both knees at once often experience somewhat different recoveries on each side. The term minimally invasive is somewhat misleading and overused. It is still major surgery, and any surgery is invasive. The human response to injury includes discomfort, altered emotions, and a recovery period until healing occurs. Minimally invasive surgery can reduce, but not eliminate, these normal responses to the trauma of surgery. Minimally invasive surgery also does not mean risk-free surgery. Knee replacement surgery, regardless of technique, is associated with risk of infection, nerve injury, deep blood clots, premature implant loosening and failure, unexpected knee stiffness, continued pain, unpredictable medical complications, and even death. While these complications are uncommon, people undergoing knee replacement surgery need to be aware of them before undergoing any type of reconstructive procedure. Usually, minimally invasive surgery simply means performing a big operation through a small incision. In other words, the deep muscle injury is often unchanged, but the scar is smaller. Surgeons who perform at least 100 knee replacement procedures per year are most able to progressively begin shortening the incision, while keeping the procedure the same. Many orthopedic implant companies have developed special instruments and training for surgeons. Learning more about the procedure by reviewing the patient educational materials provided on an orthopedic company's Web site can be helpful. The Web site can help identify surgeons in the area who use a particular company's implants and are therefore qualified to perform the procedures safely. Considerable difference exists between most knee replacement procedures that are performed by making a shorter incision and the so-called quadriceps-sparing knee replacement procedure. The quadriceps muscle is actually a group of four well-developed muscles in front of the thigh that connect to the kneecap through a common tendon called the quadriceps tendon. This group of muscles controls movement of the knee and is critical for normal walking and standing. Traditional knee replacement surgery involves cutting into the quadriceps tendon to turn the kneecap over and push it out of the way in order to expose the arthritic joint that is to be replaced. In minimally invasive surgery, a surgeon uses the same surgical technique as described above, except the cut in the quadriceps tendon is smaller. Instead of being turned over, the kneecap is pushed to the side. Special instruments allow the entire surgery to be performed through a smaller skin incision. The smaller cut to the quadriceps tendon considerably eases recovery. A patient who has had this type of surgery may be able to leave the hospital on the day of surgery or just a day or two later. Experiencend surgeons trained in minimally invasive joint replacement techniques and the use of special instruments can shorten the incision of a standard knee replacement from 8-12 inches to about 4 inches. Incision size is ultimately dependent on each person's anatomy and body fat. Severe arthritis with deformity and heavier people require longer incisions to allow the replacement to be done safely. In most cases, a 4-inch scar is sufficient for the surgeon to enter the knee joint and to perform the procedure properly. To truly spare the quadriceps tendon from any cutting, a different variation of minimally invasive surgery, called quadriceps-sparing knee replacement, can be used. This surgical approach is not new. Another name for it is the subvastus approach. "Subvastus approach" means going under the vastus muscle, which is part of the quadriceps muscle group. In essence, the surgeon makes a small (3- to 4-inch) skin opening. Next, the surgeon opens a fibrous layer of tissue (called the retinaculum) attached to the quadriceps muscle. and enters the knee joint. Finally, to expose the knee joint enough to insert the replacement, the surgeon takes the cut in the retinaculum further up into the thigh. This is done without cutting or injuring the quadriceps tendon. The quadriceps muscle is instead lifted up out of the way, so special instruments can be positioned for the operation. The incision for the quadriceps-sparing knee replacement is only as large as is necessary to place the replacement parts in the body. The cut into the skin is shorter, and the underlying cut to reach the bone through the deep tissues is also shorter than for standard knee replacement surgeries, so the quadriceps is not cut. Special instruments are used to access and prepare the bone through such a small incision. Implants designed for this type of procedure and occasionally X-ray guidance are also used for this surgery. This surgery is best performed by experienced surgeons with special training in this procedure. This type of surgery cannot be performed on all people. Surgeons carefully select people for whom this procedure is possible. Yet most people who are candidates for total knee replacement are suitable for this procedure. Results after quadriceps-sparing knee replacement are generally dramatically better than results after knee replacements performed through a 4-inch incision using the standard technique. Benefits include an early return to walking, greatly reduced pain, and a remarkably different overall recovery. Scarring and soft tissue trauma underneath the skin are minimal. Pain control measures can also speed up recovery. A painkiller may be given before the surgery, and a nerve block may be given in the thigh to numb the leg. Pain pumps that infuse painkillers into the incision may also be used. Early exercise is also encouraged to speed up recovery. Today, most knee replacements done in the United States use parts that attach to the bone with special cement. A newer material called tantalum, a material similar to bone in porosity, may also be used. When this metal is placed against bone, it allows bone to fuse into it. By a few weeks after surgery, the bone is attached to the metal parts. The bone is stable and the implant is durable. By not using cement, the surgeon can also avoid using a tourniquet. A tourniquet is used by most surgeons in the United States to drain blood from the leg and to shut off the blood supply to the leg during surgery. However, restricting this blood flow is known to result in temporary damage to the leg and thigh muscles and to prolong recovery. Avoiding use of a tourniquet allows faster recovery. Using modern implants without bone cement and avoiding tourniquets allow for a faster recovery and better pain relief, particularly when combined with appropriate painkillers and the quadriceps-sparing surgical approach. Another method of performing knee replacement surgery, although rarely used, involves entering the knee joint from the outter aspect. The incision is made on the lateral side (outter) of the knee joint, and the kneecap and the muscles supporting it are disturbed even less than during a routine knee replacement procedure. This surgical approach, called the lateral approach, is another type of minimally invasive knee replacement surgery. The lateral approach allows muscle damage to be avoided, and the kneecap mechanics may be improved. This method of knee replacement is unusual, and surgeons rarely use it as it is more difficult to access all parts of the knee. However, it has some distinct advantages over traditional knee replacement surgery. Pain may be decreased and people are often able to return to walking faster. During minimally invasive knee surgery, the person lies on his or her back. With this type of surgery, the instruments used are specially designed by the implant companies to allow for small incisions. Also, the implants that are used may be slightly different, although no less durable, than the implants that are used to replace a diseased knee with a standard knee replacement procedure. Computer navigation is an important advancement that may contribute to the overall safety and effectiveness of any knee replacement procedure. It improves the surgeon's ability to place the prosthetic parts accurately. For nearly all knee replacements, the surgeon must place metal rods inside the hollow parts of the major bones close to the knee joint (the femur and the tibia). Placement of these metal rods helps the surgeon measure the alignment of the knee and position the implants accurately. However, the risks of this procedure include disruption of the bone marrow, bleeding, and an increased possibility of blood clots. Computer navigation helps the surgeon consistently align and position the parts without invading the cavities of any of the long bones around the knee joint. This technology, which is expensive and available only at select medical centers, may represent the future of knee replacement surgery. Small markers are placed at vital anatomical points on the leg, and the computer-based system can read the positions of these markers, compute the optimal alignment, and customize it for each patient. Although positioning of the replacement parts is more predictable with the use of computer navigation systems, improved function has not yet been demonstrated long-term in extended followup studies when compared to congventional knee replacement procedures. Many surgeons combine small incision knee surgery with spinal and epidural anesthetics to speed up recovery. Newer anesthesia drugs are less likely to cause nausea and confusion upon awakening than older drugs. Local anesthesia injected into the surgical site relieves pain after surgery. With modern knee replacement techniques, the person is encouraged to become mobile much earlier than with the standard method of knee replacement. Many people are able to get out of bed either the same day or the next day, with the help of a physical therapist. Pain pumps that infuse painkillers into the incision, patient-controlled analgesics, and newer antiinflammatory drugs may all be used in combination to speed up recovery. Even though modern surgery can facilitate recovery and reduce the risk of blood clots, minimally invasive procedures cannot eliminate the risk of a clot. Some method, or a combination of methods, for reducing the likelihood of blood clots after surgery is still necessary. Some surgeons use drain tubes to remove blood from the deep wound. Surgeons may also prescribe injectable or oral (taken by mouth) medications that prevent blood clots (anticoagulants) for several weeks after surgery on the knee joint. People who are prescribed certain anticoagulant medications (blood thinners) are required to have blood drawn to measure their protime (prothrombin time, a measure of how fast the blood clots). Measuring the protime guides the doctor in adjusting the anticoagulant to the optimal dose. A person who is contemplating knee replacement surgery should become informed. Ask friends who have had a similar procedure about their experience. This may help in choosing a hospital and a surgeon. Exploring the internet may also provide additional information. Keep in mind that the Internet is largely unregulated in terms of quality of information. A wealth of information concerning minimally invasive knee replacement surgery is available on the Internet. Some of this information may amount to self-promotion by surgeons, implant companies, hospitals, and other parties. Intelligent health-care consumers must decide the quality of the information. See the Web Links for some trusted sources of information. After researching on the Internet, discuss the procedure with your primary care physician and your orthopedic surgeon. They will know who in the community offers the newer minimally invasive techniques. Every community is also served by teaching hospitals, where surgeons often enjoy exchanging opinions and perspectives. Procedures such as minimally invasive joint replacement surgery are often first developed and tested at academic medical institutions. There are also excellent private practice groups whose surgeons are fully versed in new methods of surgery and testing their effectiveness. After preparation, an appointment can be scheduled with a doctor. If the doctor has a Web site, review it before the visit. Make a list of questions ahead of time, so that all your questions are addressed. Make sure to be comfortable with the surgeon you ultimately choose to perform your surgery. The doctor should encourage your questions. Because many questions arise after the office visit, the surgeon should encourage communication regarding any additional questions or concerns. Keep in mind that privacy may be compromised if you are asking questions via email. In addition, minimally invasive procedures may take longer to perform. A person who has had any type of knee replacement surgery needs to follow certain precautions to adjust to a lifestyle with a prosthetic device. Unrealistic expectations, a lack of information and preparation, and a failure to become an active and intelligent participant in the surgical procedure can lead to disappointment after any surgery. Different people react differently to the same procedure, depending on their body weight, associated medical conditions, family support, cultural background, mental health, and other unpredictable factors. Minimally invasive knee replacement surgery is a new procedure. Short-term results are promising. Surgeons are gaining more experience with these new techniques. If the knee implants are placed properly, the new knee should last through several decades of reasonable use, as long as precautions and activity recommendations given by the surgeon are followed. Minimally invasive knee replacements may allow earlier discharge from the hospital, less pain, and a faster return to day-to-day activities. Less physical therapy is usually needed after discharge. However, there are specific complications for any new procedure. The experience of the surgeon is also a factor. Surgeon selection and patient education are very important when it comes to new surgical techniques. In general, knee replacement surgery should be sought only for debilitating pain that does not improve with pain medications, exercise, weight loss, and reasonable activity modification. Knee replacement, regardless of the surgical technique, is a major operation for a worn-out joint that can no longer carry the person. Knee replacement surgery involves lifestyle changes and an artificial joint. Optional surgery, such as a knee replacement, should be avoided until other treatment options have failed. "Overview of surgical therapy of knee and hip osteoarthritis"
Did you receive minimally invasive knee replacement surgery? Please describe your experience. Were you satisfied with the results of your minimally invasive knee replacement? Why or why not?